Havana was formerly the most important port in Spain's colonial empire. By the 1700s, it was larger than New York City and Boston. Havana has long been a popular destination for travelers and welcomes more than one million tourists annually. There are an estimated 60,000 pre-1960 American cars in Cuba, and many of them can be seen in and around Havana. These old cars have become city symbols of sorts and are often depicted in Havana travel brochures. Havana's historic center was declared a UNESCO World Heritage Site in 1982. Havana, Cuba was founded in 1515 by the Spanish conquistador, Diego Velazquez de Cuellar. Originally situated on Cuba's southern coast, it was moved to its present location on the island's north coast by 1519. Havana quickly established itself as a major hub of the Americas and became the most important port in Spain's colonial empire. In the early 1700s, the only cities in the Americas that were larger than Havana were Mexico City and Lima. In subsequent centuries, Havana continued to grow, but the growth came to a rather abrupt end in the wake of the 1959 Revolution. Decay and decomposition followed, plaguing many of Havana's historic buildings. 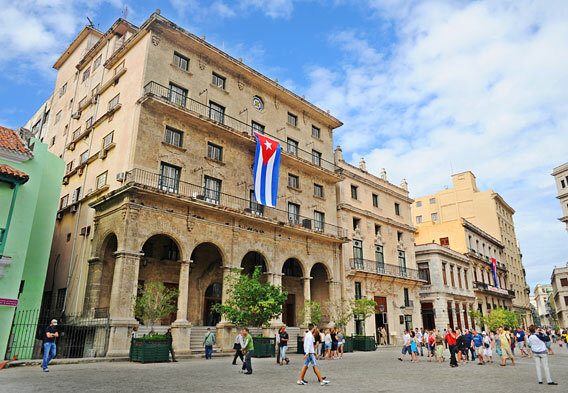 Most of the major tourist attractions have been restored, however, especially in the UNESCO World Heritage Site area that is La Habana Vieja, or Old Havana. General sightseeing is one of the most popular things to do in Havana, Cuba. Among the best places to take in the sights is the Old Havana district. The pedestrian-only Calle Obispo is the ideal boulevard for walking tours in this historic district, especially since it links to such attraction-laden areas as Parque Central and the Plaza de Armas. Also not to be overlooked when planning Havana walking tours is the city's famous Malecon. An oceanside pedestrian walkway, the Havana Malecon stretches from the Castillo de San Salvador to the Almendares River. That's a distance of approximately four miles. Common sights along the Malecon include historic buildings, children swimming off coral outcroppings, fishermen, entwined lovers, and groups of revelers. As a side note, don't be surprised if you see a lot of old American cars while sightseeing in Havana. All told, there are an estimated 60,000 pre-1960 American cars in Cuba, and many of these old rides are found in and around the capital. Other ideas for things to do in Havana include taking a tour of a cigar factory to see how the world's best cigars are made, visiting historic churches and forts, and taking in a baseball game. Baseball is the national sport in Cuba, and the country's amateur baseball players are some of the best in the world. Also to be noted when it comes to the list of things to do in Havana is the city's nightlife. Havana residents love to dance and party, and you might even argue that Havana doesn't really get going until after the sun goes down. One of the best ways to get in touch with a city or country is by visiting its museums. In Havana, Cuba, one of the more notable museums is the National Fine Arts Museum. Among this institution's main calling cards is its extensive collection of Cuban art and sculpture. Complementing this is a high quality international art collection. 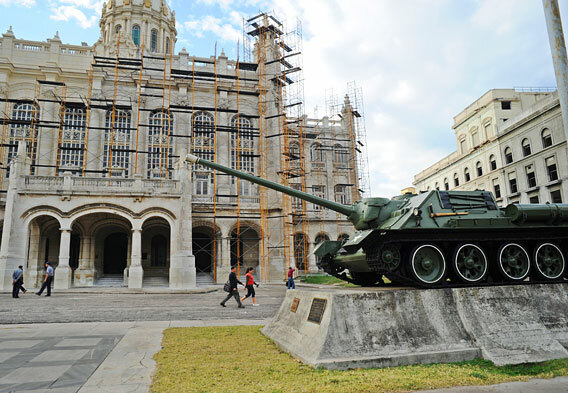 Other standouts among the Havana Museums include the Museum of the City and the Museum of the Revolution. The Museum of the City is housed in a beautiful building that was formerly the seat of Cuba's government for more than 100 years. Its displays revolve around colonial-era relics and artifacts. The Museum of the Revolution calls the former Presidential Palace home. Among its main features is Granma - the 59-foot motor launch that carried Fidel Castro, Che Guevara, and 80 other revolutionaries to Cuba in 1956. About 10 miles east of Havana at Finca la Vigia is just one more museum that Havana visitors might take an interest in - the Ernest Hemingway Museum. Lodging is in good supply in Havana and comes largely in the form of state-run chain hotels and casas particulares. Casas particulares are private rooms for rent. Since Havana is relatively compact, the neighborhood that you choose to stay in shouldn't be a limiting factor. Most tourists wish to spend the bulk of their time exploring Old Havana, however, in which case the Old Havana accommodations and the accommodations in nearby Centro Havana are very popular. Large groups, package tourists, and business travelers are often directed towards the hotels in the Miramar and Playa areas of Havana. These modern suburbs of sorts are on the west side. Another popular area to stay in is Vedado. Set between Old Havana and Miramar, the Vedado neighborhood offers plenty of accommodations and dining choices to go with its proximity to the rest of the city's attractions. Havana visitors should also know that there are some good lodging choices outside of Havana. Less than an hour's drive from downtown Havana is Jibacoa, for example. Also known as Playa Jibacoa, this community offers beaches and is a good place to go diving and snorkeling. 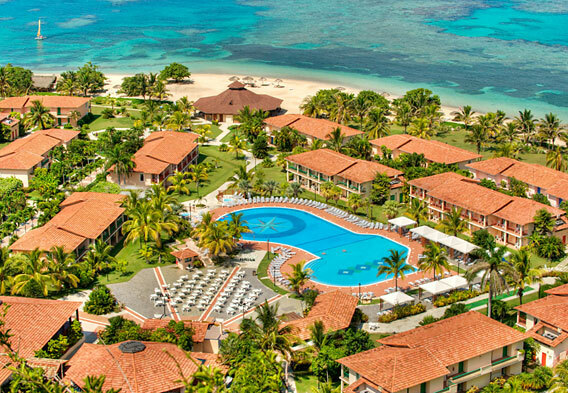 Among the Jibacoa hotels is the all-inclusive SuperClubs Breezes Resort Jibacoa.